It’s my eighth time! I’ve been up to the festival every year since 2010 but in a number of different capacities. I worked at a venue on box office for a number of years and in 2013, I performed in a show whilst holding down the box office job. I would not recommend this to anybody. Other years, I’ve popped up to see stuff but I’m also half-Scottish so I get to go up a fair bit outside of the festival too! I was on the telly! I played Sylvia Pankhurst in a BBC One docudrama which was so much fun and such a great job to get to do with some amazing people. 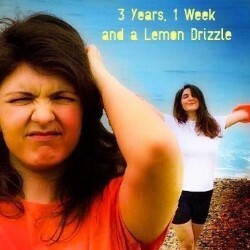 Our show is about the relationship between my sister and I when I was ill with an eating disorder as a teenager. My sister and I made the show together almost two years ago and we both perform in it which – so far – has been a really fun experience because we work so well together! Mind you, this will be the longest run of the show we’ve done so let’s hope we’re still saying that at the end of August. Ooh lots of stuff! Definitely see Ladykiller which The Thelmas are bringing to The Pleasance Courtyard this year and Christina Murdock’s Dangerous Giant Animals at Underbelly, Cowgate looks fantastic. I also discovered Jess Robinson earlier this year and thought she was incredible. She has a show at the festival this year called Jess Robinson: No Filter which I think will make for an awesome evening!